The logic goes that kids have short attention spans so it's best to keep the action in the frame, and indeed the frame itself, moving at all times with rapid, continuous cuts: children simply don't have the interest in slow moving features. Also, it would seem, girls should not be used as leading characters - even a studio as forward thinking as Pixar took until 2012 to go against this wisdom with Brave and, in doing so, were met with a decidedly mixed reception from critics. Thirdly, the plot's narrative journey should be made clear early on; children should be told who the main character is, what he wants and, ultimately, what his problems will be achieving this. Kids also like explosions and fast cars! Yet, if these perceived truths were indeed correct, who can explain the enduring love that is held towards My Neighbour Totoro not just from Western hipsters but also by children of all ages? Hayao Miyazaki's magical 1988 animated fantasy is one of Studio Ghibli's flagship features and most beloved creations to boot despite the fact that the 86 minute film steers clear of most of the perceived wisdom on how to make a successful box office smash and, partially because it values character and emotion over pop culture references and zeitgeist casting, remains a timeless movie as fresh today as it was upon release 25 years ago. Totoro is a tale, set in 1958 Japan, of two young girls who have moved to a rural idyll with their professor father; they discover their new surroundings, the locals and the friendly spirits who are found in the woods around them whilst they wait patiently for their ill mother to return home from the city hospital some miles away. After her initial encounter with the invisible soot monsters in the home, the younger daughter Mei begins to explore the trees and briar patches outside and finds an even more astonishing set of creatures - the large cat / rabbit / owl / raccoon / troll-like Totoro spririts; the "keepers of the forest". When Satsuki locates Mei, she struggles to believe the tales of these unusual spirits (unlike their imaginative father) but soon finds herself too on a journey where giant trees can sprout from the smallest of seeds over night and where the best mode of transport comes in the form of a cat which is also a bus. Remarkably, for the most part, the film features a succession of static camera shots (or, more accurately in the case of animation, frames) which allow the action to play out against backgrounds of whimsical beauty; the audience is able to easily breathe in the wonderfully serene world Miyazaki has created without being distracted by unnecessary cuts, pans or zooms and, in this way, become even more immersed in the incredibly engrossing picture and the world of Totoro. It's a rather wonderful technique used by Miyazaki and recognisable to Japanese cinema fans as one brought to prominence by the master of the medium Yasujiro Ozu. Here, the lucid brushes of nature vividly paint the wonder and magic of childhood innocence with gentle strokes which, in turn, inspire Proustian rushes to the type of unadulterated explorations of the imagination that only a child can truly experience or feel. It's a film not only about two young people, but about being young - the awe and the magic of things that come before eyes jade. Even more impressive is how captivating the feature is without ever having to manufacture moments of contrived threat or conflict. 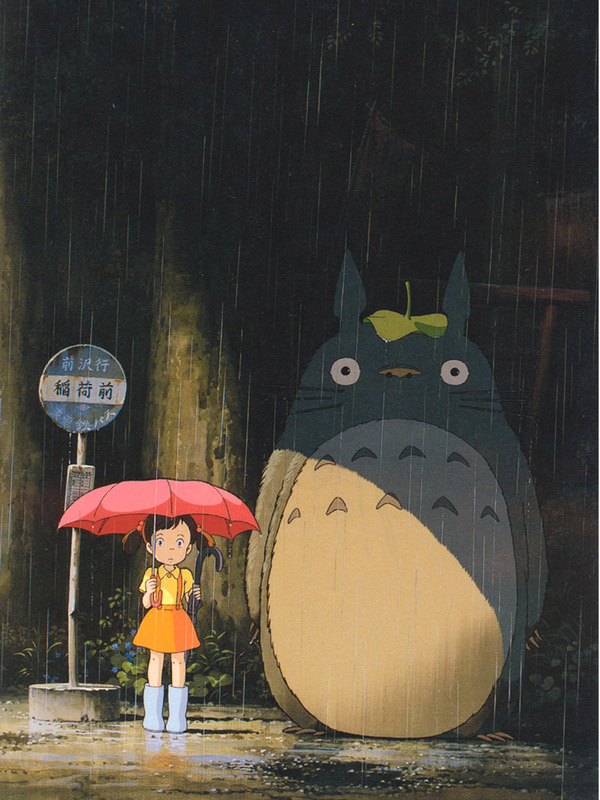 Instead, Totoro is a lovingly painted portrait of two young girls and their experiences; it is a tale of character, rather than special effects or throwaway pop gags, and as such its appeal is timeless - it highlights perfectly that cinema should be a medium about people, their thoughts, feelings and experiences. This is a lesson that won't necessarily be learnt by studying focus groups and, for those studios who want to make a feature whose warmth will last long after the credits fade and the weekly box office results have arrived, shows why accepted Hollywood logic is not always true. 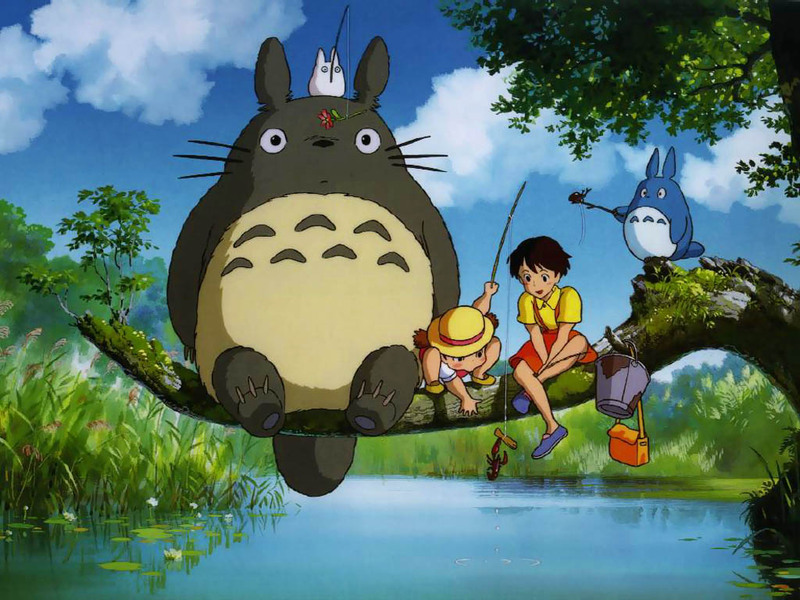 Whilst Totoro does not feature explosions or catchphrase spouting celebrity voice-overs, it is instead imbibed with magic; children love the movie as Miyazaki sees the world with the same sense of delight they do, and adults are drawn in as they remember how splendorous the world can seem when observed with love and curiosity. It's a feeling we can all relate to and yearn to recapture. Celebrity casting and expensive CGI effects aren't needed for adventures when the power of the imagination is at its most splendorous - this is as true for Mei and Satsuki as it is of My Neighbour Totoro itself. Great review! I love Ghibli films, My Neigbour Totoro, Spirited Away and Grave of the Fireflies are my faves. Grave of the Fireflies is incredible.... but it's too devastating! Aye - it's just a really warm, lovely moment. I think aside from that, my fave part was where they went to the hospital - such a wonderful film!! HMC is rather great too I must say. I love this one too! It's one of the first Japanese animated films I ever saw and its left a lasting impression on me. I must watch it again! I was lucky enough to watch it recently at Leeds Young People's Film Festival on the big screen - was a wonderful experience! "[G]irls should not be used as leading characters – even a studio as forward thinking as Pixar took until 2012"
And Studio Ghibli first did... way back with Nausicaä in 1984. Of course, Pixar is younger (founded in 1995), but still. Disney did have female leads, but I find the Ghibli ones much more compelling. "were met with a decidedly mixed reception from critics"